Velti (a company that is employing yours truly) had just announced its acquisition of rival mobile advertising services provider Ad Infuse. Financial terms of the deal were not disclosed. The Ad Infuse purchase will enable Velti to gain and strengthen its position in the U.S. market. Velti will integrate Ad Infuse's personalization and ad routing/serving technology within its own Mobile Marketing Platform, promising advertising agencies an end-to-end solution for mobile media planning, campaign management, optimization, execution, analytics and hosting. Velti will integrate Ad Infuse's management team and customer base, with Ad Infuse CEO Brian Cowley assuming the position of general manager at Velti North America. The integrated company will comprise more than 400 people across operations in the U.S., Europe, China, India and the Middle East. Customers include Microsoft, Disney, Unilever, Orange, MasterCard and CBS. Velti can now do pretty much anything now. Integrated display, search and SMS advertising campaigns, run across both Europe and the US, with advanced metrics covering all continents. 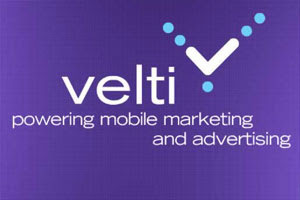 Velti provide end-to-end campaign management as well, from inception and creation through to delivery and measurement. I m sure with this acquisition Velti can now claim to be the largest mobile marketing company in the world.